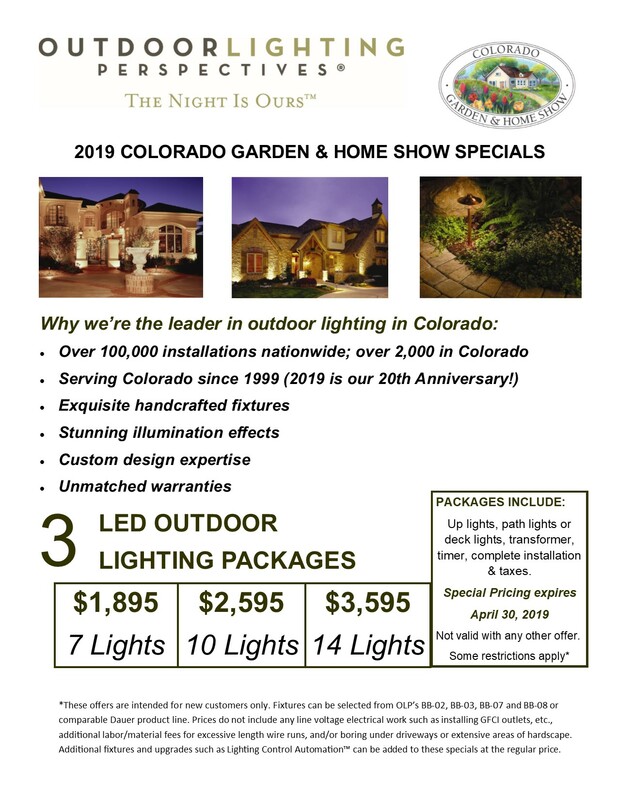 The 2012 Colorado Fall Home Show is underway and Outdoor Lighting Perspectives is running some exciting outdoor and holiday lighting specials for those folks who stop by to see us at the show. Get a free 3-foot lighted wreath with each turnkey holiday lighting package at or above $1,500. This special cannot be combined with any other holiday lighting offers. Offer good through October 31, 2012. In order to qualify for these specials, you must register at our exhibit at the show. We look forward to seeing you there.